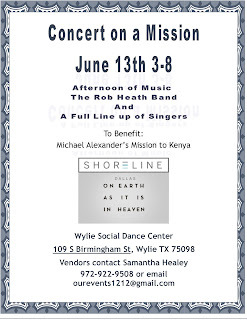 "Afternoon of Music with The Rob Heath Band and Full Line up of Singers to Benefit: Michael Alexander’s Mission to Kenya. Come hungry. Hot dog plates with chips and potatoe salad for $5 available." Admission Fee: Donation of $5, $10, or $20 only. Donations only. Booths are up to 6 ft table and cost $65. Applications are available here and are due by June 10th, 2015. 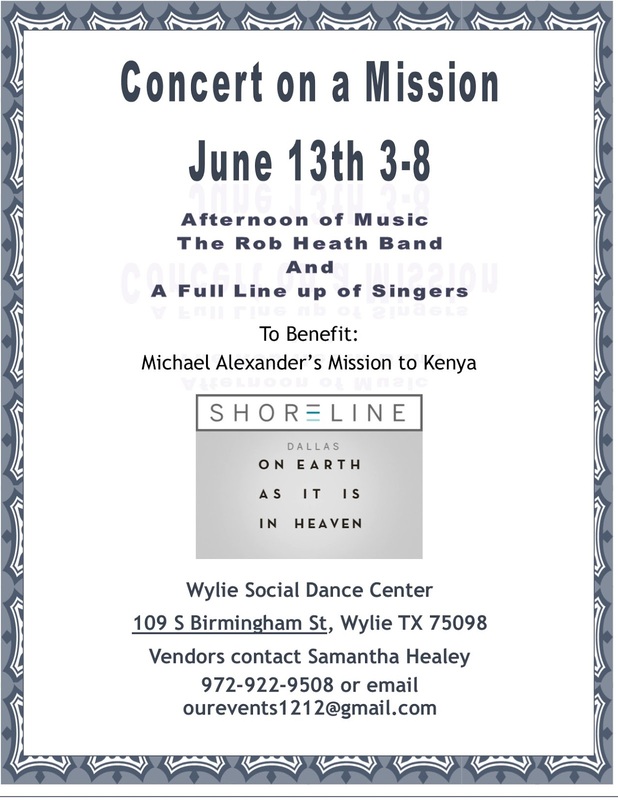 For more information, visit their website or contact their event coordinator at ourevents1212@gmail.com / Becky at 214-695-1176 or Samantha at 972-922-9508.